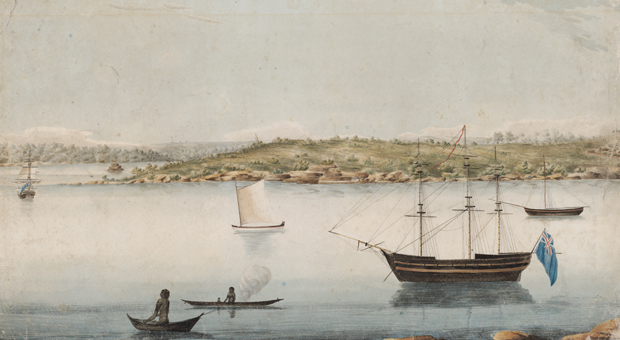 Much of the early interest in Sydney’s Aboriginal people was as a study of ‘primitives’ in need of salvation. Catholic priests, Fathers Therry and Power baptised around 45 Aboriginal people at St Mary’s Cathedral between 1820 and 1832. The newly initiated came from Sydney, Parramatta, Richmond, Liverpool, North Shore, Five Islands, Broken Bay, and were known to be from the ‘Sydney Tribe’, ‘Cowpasture Tribes’, ‘Caddy Creek Tribe’ and ‘South Creek Tribe’. Some of the early clergy took a ‘scientific’ interest in the cultural ways of the local Aboriginal people. Anglican Archdeacon Gunther of Parramatta, for example, worked on a dictionary of the local language in the 1830s. But by the second half of the 19th century it was widely thought that Aboriginal people were a dying race, and so a sense of ‘mission’ was muted. This stood in stark contrast to the way that many of the major denominations related to the Chinese in Sydney. So while the Anglican Church ordained a Chinese minister as early as 1885, it was not until over a century later in the 1990s that the first Aboriginal Anglican clergy were recognised. 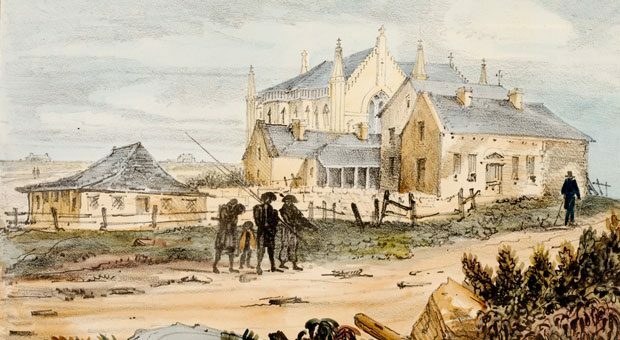 While the focus on ‘mission’ was turned to rural areas, the fact that many government and Aboriginal organisations were based in the city meant that connections were often made between the church and such organisations. Papers given at the First Australasian Catholic Congress held in Sydney in 1900, considered the language and customs of the ‘Aboriginal Tribes’ in the Northern Territory and Aboriginal art, while the Third Australasian Congress held in 1909, discussed the ‘Aborigines of Australia: Past, Present and Future’. Papers at these conferences were generally given by anthropologists and clergy and considered the role the church and Government played in the administration of Aboriginal affairs was for the ‘betterment of Aboriginal people’. From the mid-1960s the Paulian Association (an affiliate of the Foundation for Aboriginal Affairs) and the St Vincent de Paul Society were involved with Aboriginal people in Sydney, leading to the employment of a full-time social worker and part-time Aboriginal youth worker. The St Vincent de Paul Society provided assistance to Aboriginal people in the form of food, rent and clothing, fares and finding employment. From 1968 to 1972, Father Eugene Stockton was part-time chaplain. In 1970 Pope Paul VI addressed an Aboriginal congregation in Sydney. Archbishop Gino Paro urged that there be no ‘Black Power’ violence during the Pope’s visit. By 1971 an estimated 15,000 Aboriginal people lived in metropolitan Sydney, and a high proportion of those claimed to be Catholic by virtue of being baptised into the Catholic Church. In this year, the Pastoral Council of the Archdiocese of Sydney set up an Aboriginal Affairs Sub-Committee to inquire into the position, needs and aspirations of Aboriginal people in Sydney. The committee included Shirley Smith (Mum Shirl). From the findings of this research came the new role of the Paulian field workers. The main task of the Aboriginal Advisory Council, established in 1972, was to advise the cardinal about Aboriginal affairs and to make recommendations concerning the church’s work among them. Other denominations became similarly active by the 1970s, with an emphasis on hands-on practical programs. 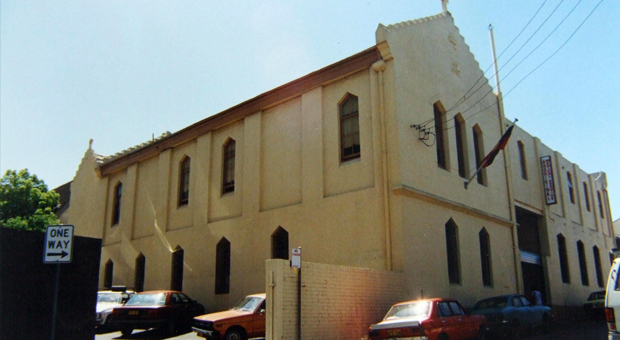 For example, the Methodist (later Uniting) Church provided help at the Wayside Chapel at Kings Cross and for many years ran a before-school breakfast program for the Aboriginal children in Redfern. And since 1958, Tranby Aboriginal College had been operating in Glebe, having been established by the ABM Christian Community Co-operative and the Anglican priest, Reverend Alf Clint. In 1974 Cardinal Freeman appointed Pallotine Priest Father A Mithen as full-time chaplain to the Aboriginal people of the Catholic Archdiocese of Sydney, located in Buckland Street, Alexandria. Until 1979 he coordinated and extended the work of the church to areas of need whenever personnel were available for work. Meanwhile Father Allen Mitchell was the Catholic priest for the Aboriginal community, Archdiocese of Sydney. In the 1970s, the Sisters of Mercy run ‘Wunambiri’, a remedial and resource centre in Surry Hills. The centre aimed to improve the educational standards of deprived Aboriginal children and adults, and provided welfare assistance to families. The Sisters of Charity helped Aboriginal carer Mum Shirl with her work in the courts, prison visitations, medical and social work. Father Ted Kennedy was involved with the affairs of inter-city Aboriginal and Torres Strait Islander people from the 1970s, providing a service through St Vincent de Paul Catholic Church in Redfern. 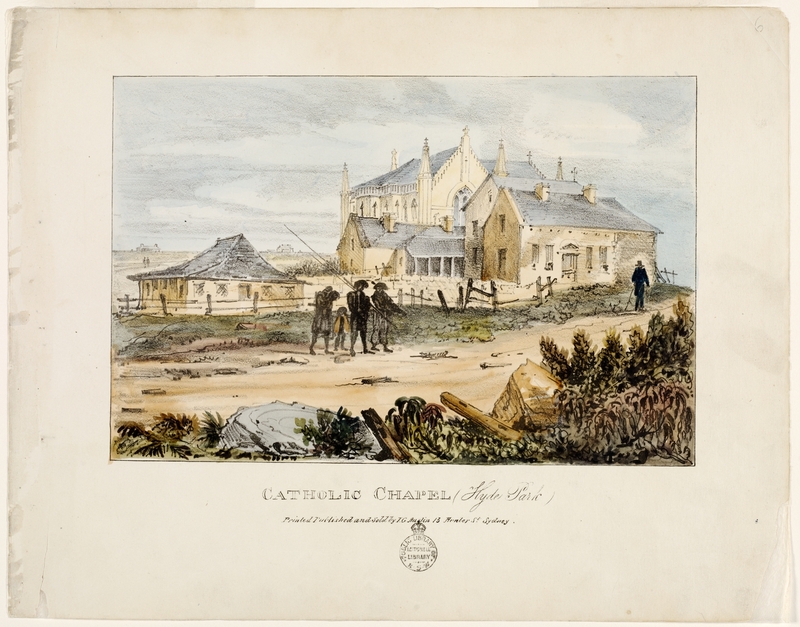 Although Father Ted, as he was known, was originally seen to be heading an ‘activist parish’, his intention was to make his church open to Aboriginal people. He provided opportunities for Aboriginal and non-Aboriginal people to get together to discuss issues, while providing a training and learning program for Sisters willing to work in the field with Aboriginal people. Father Ted was also heavily involved in the housing development at the Block and in the Aboriginal Medical Service with Mum Shirl. There were also other Catholic agencies assisting Aboriginal people from the 1970s. For example Australian Catholic Relief raised and disbursed funds for relief aid, development and education in third world countries, but between 1974 and 1978 they looked closer to home and increased funding for Aboriginal projects from around $5000 to $85,000. Australian Catholic Relief supported projects such as the Aboriginal Medical Service, an Aboriginal Welfare Worker’s position in Redfern in 1977, and the Koori Churches Commission. From 1974 the Archdiocesan Pastoral Council also began funding Aboriginal projects. In 1980 the Catholic Chaplain to Aborigines sponsored the Aboriginal Justice Association, Archdiocese of Sydney. In 1982 the Archbishop of Sydney and the Pallotine Fathers and Brothers both donated funds to the Australian Aboriginal Dance Theatre Company to assist their tour of Jack Davis’ play Cake Man to Denver in the United States of America. A meeting was held in Kensington, Sydney, in 1983 which brought together 73 Brothers, Sisters and Priests to hear the stories of urban Aboriginal people. These stories shocked many people into becoming involved in support work. In 1985 the Sydney Bishops supported the land rights policy after watching a special screening of the Central Land Council’s video ‘Our Land Is Our Life – Land Rights in 1985’. The same year, the Sisters of Mercy presented the deeds of their property in Redfern to the Aboriginal Medical Service Co-operative in a symbolic gesture of solidarity. In 1985, Aboriginal Nurse Jennifer Bush was commissioned by Bishop John Heaps to prepare the report ‘Aborigines in the Sydney Catholic Church’, and Father Eugene Stockton was asked to implement the report for the whole of Sydney. The ‘Bush Report’ called for, among other things, the formation of local Church committees of Aboriginal Catholics, which became the Aboriginal Catholic Ministry (ACM). The ACM was set up in Western Sydney (Parramatta Diocese) by Father Eugene and in Erskineville (Sydney Archdiocese) by Father Frank Fletcher in 1988, who had been commissioned by Bishop Heaps to do so. Aden Ridgeway was the first chairman of the ACM. The Anglican Church similarly moved in the direction of Aboriginal churches in Redfern and Blacktown. Local Koori enthusiasm for membership of Christian churches has increased when support is forthcoming for Aboriginal and Torres Strait Islander causes. 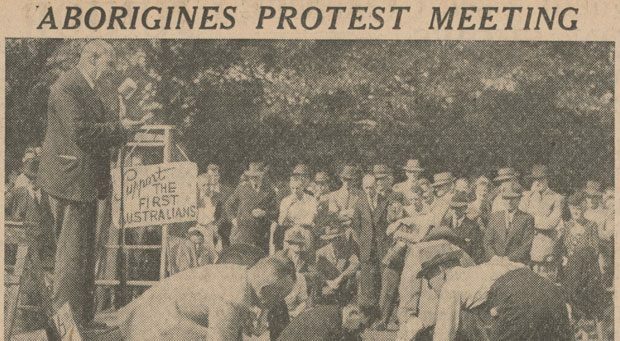 For example, the active resistance of some members of the Catholic Church against the Greiner Government’s attempts to repeal the 1983 NSW Land Rights legislation helped to interest local Kooris in the Aboriginal Catholic Mission. The traditional form of church services has changed when they are led by Aboriginal and Torres Strait Islander people, and new ways are being found to provide liturgy, welfare and social support. 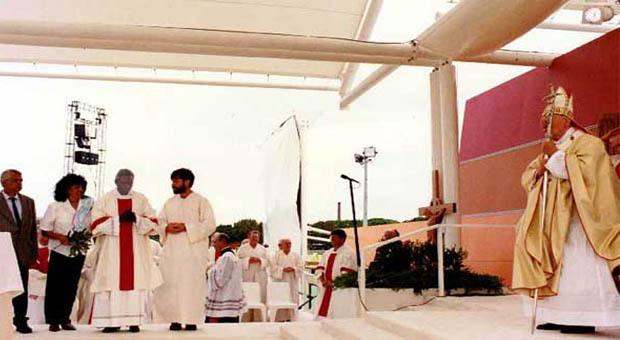 As a representative of the ACM Erskineville, Elsie Heiss took part in the official Smoking Ceremony for Pope John Paul II at Randwick Racecourse in 1995 and went to the Synod in Rome in 1998. In 1999 Heiss set up the La Perouse Aboriginal Catholic Ministry in what is thought to be the first church in Sydney put in Aboriginal hands. In 1999 Father Frank Fletcher handed over his work at the ACM Erskineville to Father Joe Kelly of the Missionaries of the Sacred Heart. St Mary’s Catholic Cathedral in Sydney has also played a role in mourning Aboriginal people with the 1989 funeral of Malcolm Charles Silva, where the Redfern All Blacks made a guard of honour. Mum Shirl’s funeral was held at St Mary’s in 1998 and Bob Maza’s in 2000.